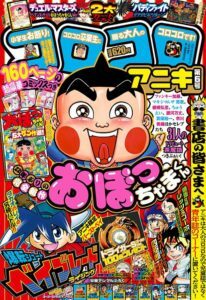 A5 size issue: Shogakukan [large adult Colo comic! Colo Aniki No. 6] In addition to the comic newly written by the waist Tetsuhiro teacher “Bakuso Brothers Let’s & Go !! return Racers”, the latest work drawn by the cartoonist Hiroyuki Takei teacher of up-and-coming “Hyper Dash! Yonkuro” Ask me. In addition, four wheel drive mini team “TMFL Nitsu star driving dynamics laboratory” is also included. From the series end of 1994 to the beginning of a book, that popular manga to be a whopping revival of 22 years “Obotchamakun” (Yoshinori Kobayashi) has appeared in full New! ! Completely new work also posted further Beyblade “. ⇒ “Colo Aniki” official site is here. is to tea magic word dictionary also recorded celebrities 31 people tribute tea magic words! 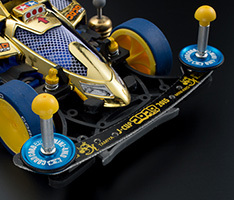 ★ Aniki limited burst Bay Doraiga S Gold Ver. and “high pre-Dora” is to sell, will be 10,000 monster point. fully qualified special collaboration items set with three of four wheel drive mini grade up parts of Colo Aniki bespoke! This entry was posted in Future Releases on July 20, 2016 by admin.